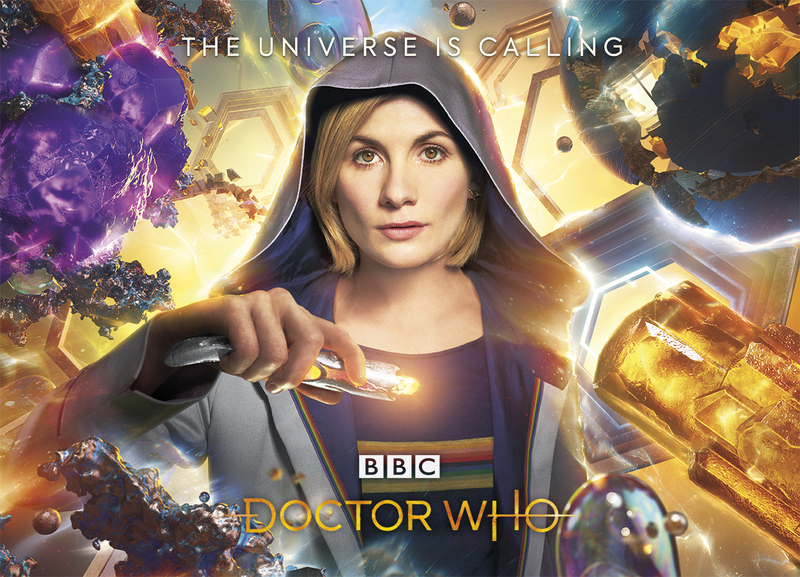 At the San Diego Comic Con the Thirteenth Doctor herself, Jodie Whittaker has unveiled the brand-new sonic screwdriver fan collectible, a replica of the one her character will use in the new series. 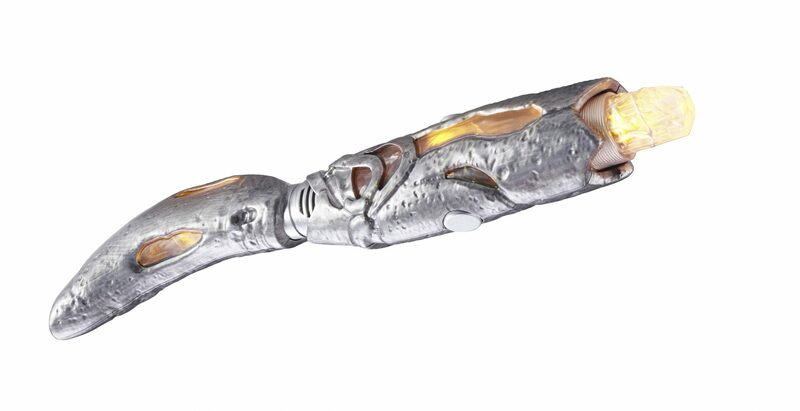 While it only seemed like yesterday that the TARDIS console gave Peter Capaldi’s Twelfth Doctor a brand-new sonic, the Thirteenth Doctor will now be the custodian of a new, much more alien device which is sliver with dark fissures running through it. 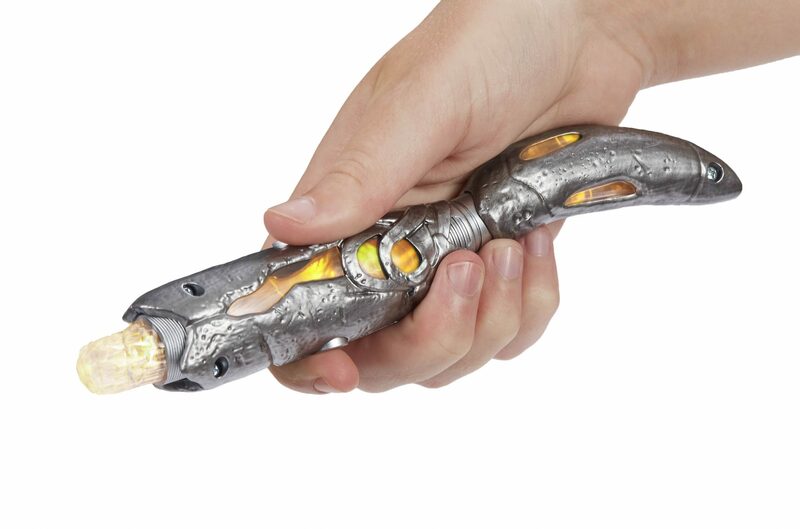 The latest incarnation also comes with a slightly curved handle that’s separate from the main screwdriver with contains stripped LED lights and appears more crystalline and organic – with an orangey glow rather than the previous blue and green pulses of the previous sonics. 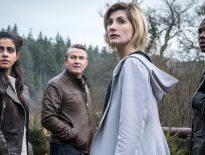 That said there’s a definite hand-crafted quality to it which, being as we have seen the new Doctor doing a spot of welding in the new trailer, might not be too far wide of the mark. After all, it seems like the new Doctor has misplaced the TARDIS, so maybe the design is borne out of necessity. The ever-changing accessory was designed by Arwel Jones, who said in a press release. 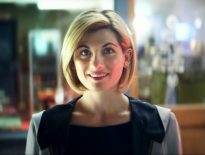 “It’s a privilege to have been asked to redesign the iconic sonic screwdriver for the Thirteenth Doctor and a new generation of audiences. And now you can acquire too! 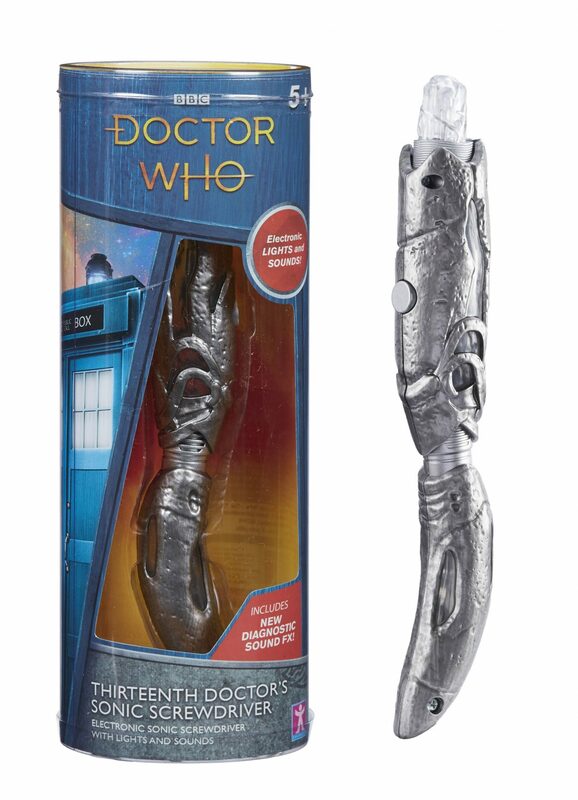 (well, in August at least) as the 8″ replica of the Thirteenth Doctor’s Sonic will be available to pre-order now from Character Options and Forbidden Planet in the UK and the BBC Store in the US. You can check out a full gallery of images of the new sonic below.